Our GSM listening devices power from a battery pack using 4 AAA batteries to power the system in ready mode for a week. Once your target enters a room or vehicle, you simply dial the GSM listening device, and instant covert audio surveillance takes place. GSM listening devices will then enable you to hear your target's room conversations. 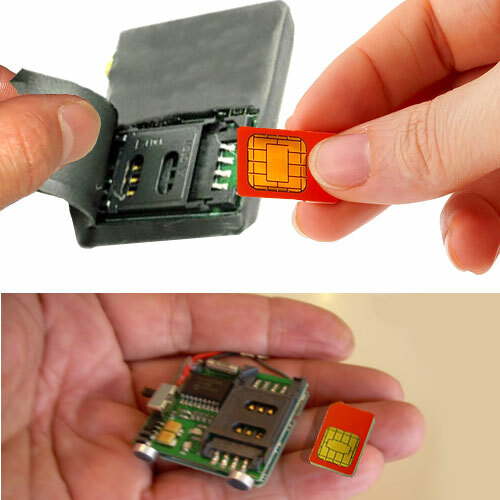 All you need is a sim card for the region you are in. Plug in the sim card, deploy your GSM listening device, and you are ready for action. What is the difference between all of the GSM Bugs? Model GSM Room Transmitter and Model GSM Listening Devices are practically the same, yet they are offered as different models. They perform the same function but do not operate in the US. Model GSM Bugs is a version that is available for US Law Enforcement only.